The AquaTouch S1070 hails from Philips’ established stable of shavers. Having tested some of these before, I knew what to expect - a good, clean cut with little hassle from the device itself. As one of the cheaper models in the range, coming in at just under R500 online, it doesn’t have quite the curves of the Philips’ more expensive Series 9000, 7000 or 5000. Barring all the fancy stuff on those models (and having to dash out a bit more cash), the AquaTouch does what it set out to do, at a very competitive price point. 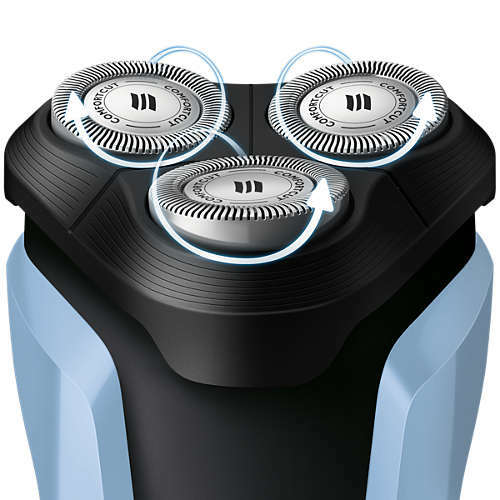 Here you’ll find a wet and dry shaver with three heads that moves separately from one another in order to provide a closer shave on areas such as your jaw line. And that is indeed the case, but only the individual heads, and not the top of the shaver itself. As with almost all shavers at the start, expect a bit of razor burn on your neck as your skin gets used to the blades, so keep the lotion ready for afterwards. If you need a beard trimmer there’s one on the back, albeit a bit flimsier than on Philips’ other models. 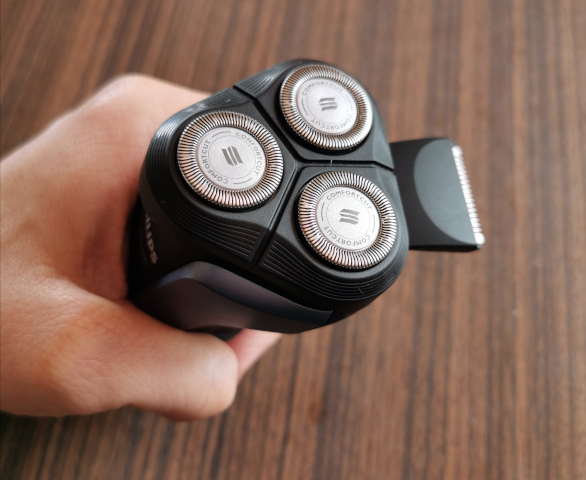 The company notes that the blades used inside are self-sharpening, with the top of the shaver popping up to be rinsed under water. The AquaTouch comes close to the battery life of the other models, providing 45 minutes (as opposed to 50 min) from quite a long ten-hour charge time. What you do miss out on on the AquaTouch S1070 are a few of the nice to haves. There’s no travel pouch or a travel lock, instead you get a head cover that protects your shaver in your bag. Also not onboard is a LED display, and a cleansing brush and precision trimmer as seen on the Series 7000 (review). If you do want the docking station that cleans and lubricates the blades, well you need to head to the Series 9000 (review) for that and pay about R3k more. The one thing that I did miss was a little cleaning brush, since there are a few nooks and crannies that needs more than just a bit of water to clean. At the end of the day the Philips AquaTouch S1070 eliminates stubble without much hassle. At R500, it does not contain the bells and whistles of more expensive models, but if you want fancy, well, you have to cough up for that privilege. If you want good value for your money from a company that knows what they it is doing when it comes to shavers, then the Philips AquaTouch is the one for you. FULL DISCLOSURE: The Philips shaver was received as a seeding product.